Located in beautiful East Tennessee, Gatlinburg is a friendly mountain resort town known for its charming wedding chapels, cozy mountain cabins, family-friendly attractions, local moonshine, fall foliage, and the Great Smoky Mountains National Park – the most visited national park in the U.S. With so much to do and see, it’s a top pick for honeymoons and romantic trips, reunions, church retreats, family vacations, girls’ weekends, father-son trips, and last-minute getaways. Founded in 1807 (originally named White Oak Flats), Gatlinburg was a hub for bluegrass music, arts and crafts, and logging. In 1934, the Great Smoky Mountains National Park was dedicated, transforming the area into a top tourist and family destination. Today, Gatlinburg celebrates its roots while constantly adding new attractions, restaurants, and shops. The main strip downtown – the Parkway – is home to dozens of restaurants, candy stores, unique shops, and attractions. The Great Smoky Arts & Crafts Community – an 8-mile loop of talented local artisans – is an important part of the culture in the area, and art galleries and one-of-a-kind shops are dotted all throughout town. In the Great Smoky Mountains National Park (FREE admission), visitors can hike, bike, go horseback riding, picnic, fish, swim, take scenic drives, visit historic buildings in the Cades Cove loop, and explore the 800+ miles of trails. Getting around Gatlinburg is also made easy with a convenient and inexpensive trolley system with plenty of stops in and around town. 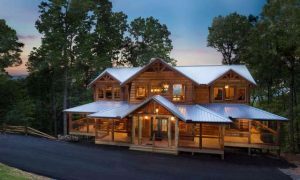 From cozy 1-bedroom cabins to spacious large group lodge, Cabins for YOU has hundreds of options for a Smoky Mountain vacation. 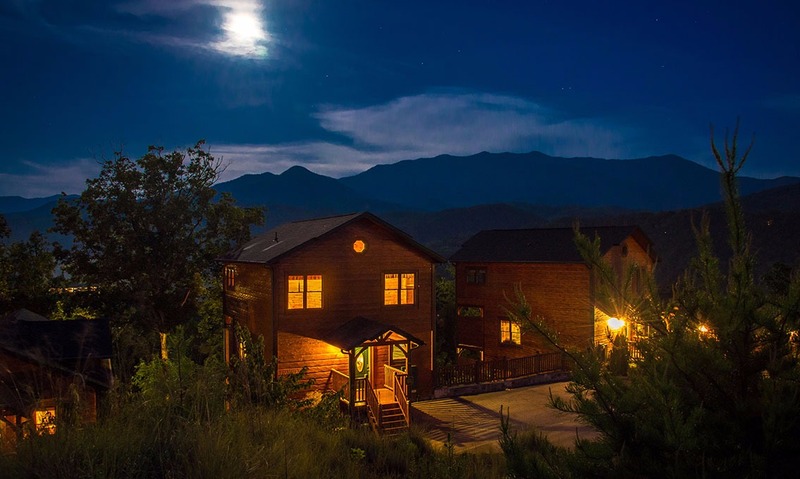 With cabins in both Gatlinburg and Pigeon Forge, you’ll have your pick of locations: minutes from downtown, secluded among the trees, perched high atop the Smoky Mountains, set along the water, or a blend of mountain views and close-to-city convenience. In the cabins, you’ll find amenities and conveniences to fit any vacation style. 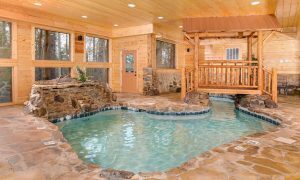 Get a romantic 1-bedroom cabin with a jetted tub, hot tub, big screen TV, table for 2, and king-size bed or plan a family getaway in a 12-bedroom lodge with a private indoor pool, huge dining spaces, double appliances, game tables, and a theater room. You can also rent a budget-friendly (starting under $100/night) or pet-friendly cabin, or find amenities like outdoor pools, community pool access, saunas, outdoor hot tubs, Blu-ray players and big screen TVs, Wi-Fi, washer/dryers, grills, mountain views, wood-burning fireplaces, arcade games, and more. 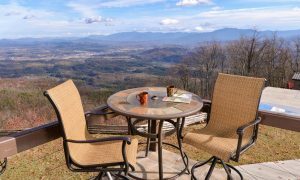 There is no shortage of fun along the Parkway in Gatlinburg and Pigeon Forge, whether you want an action-packed getaway or a laid-back weekend. In Gatlinburg and Pigeon Forge, find miniature golf, laser tag, go karts, arcades, local wineries (check out Rocky Top Wine Trail), mountain coasters, ziplines, outdoor activities, old-time photo shops, Ripley’s attractions, and more. The Ole Smoky Moonshine Holler is always buzzing with live music (and free samples); Ober Gatlinburg has skiing in winter and activities like the Alpine Slide and Aerial Tramway throughout the year; Ripley’s Aquarium of the Smokies is a top-rated aquarium with penguin experiences, touch tanks, and dive shows; and there is always a dinner show somewhere downtown, day or night! Gatlinburg also plays host to hundreds of events throughout the year, from arts and crafts shows and food festivals to holiday celebrations and sports tournaments. Rocky Top Sports World hosts everything from baseball to volleyball, and the Gatlinburg Convention Center is the home base for many events year-round. Just like the many attractions in Gatlinburg, restaurants also abound in the Smokies. Whatever you’re craving, you can find it here – Mexican, Italian, German, burgers and wings, Chinese, Japanese, pub food, steak, seafood, Southern staples, and more. The Peddler Steakhouse offers water views and steaks cut tableside; the Pancake Pantry is always a full house for breakfast favorites; Bennett’s Pit Bar-B-Que offers dine in, carryout, and catering; Blaine’s Bar & Grill is a laid-back grill by day, 21+ dance club by night; and No Way Jose’s serves up sizzling fajitas, giant burritos, and fresh-made salsas. Many restaurants, including pizza places, offer delivery or carryout when you want to relax in the cabin, or you can order catering for larger groups. And a sweet tooth is always satisfied here, where creamy fudge, decadent candy-covered caramel apples, saltwater taffy, homemade ice cream, and old-fashioned candies are never in short supply. With 4 distinct seasons, Gatlinburg, Tennessee, offers beautiful scenery and unique weather year-round. Hot summers, warm springs, cool falls, and chilly but mild winters come with equally changing views. Summer and spring boast blooming wildflowers, lush greenery, stirring wildlife. Winter blankets the trees in snow and ice, turning the Smokies into a winter wonderland. Fall is spectacular, with fall foliage that brings in visitors from around the world. As weather cools after summer, the leaves begin to change from bright green to rich reds, golds, and oranges. It’s beautiful year-round, but fall is the probably the most scenic time to visit. 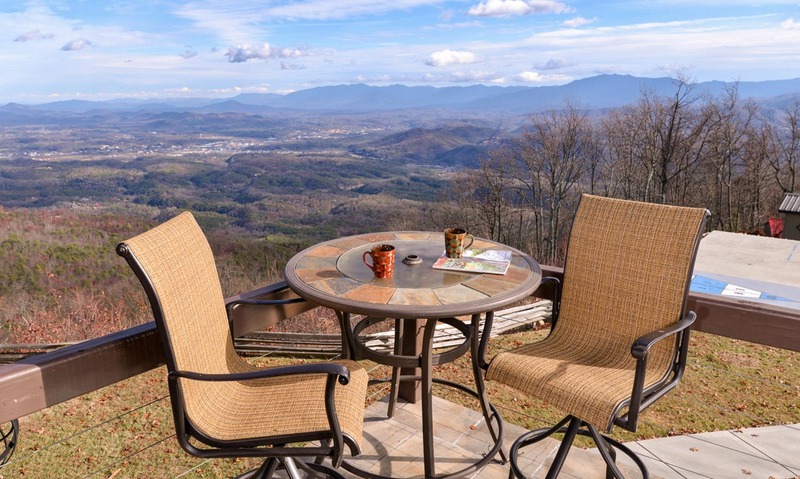 It’s also a great time to enjoy the many outdoor activities in the Smoky Mountains. 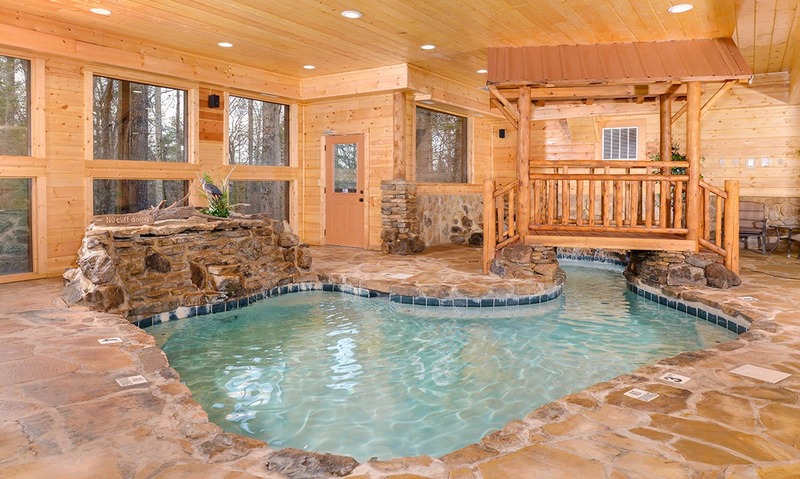 Because of its mild weather year-round, Gatlinburg is great for summer vacation, spring and fall breaks, and even the holidays. Summer temperatures typically sit in the high 80s during the day and low 60s at night. Spring brings cooler days, ranging from the mid-60s to upper 70s by May. Fall days are brisk and refreshing, ranging from the 60s to 70s during the day and dipping into the 40s and low 50s at night. Winter is a great time to bundle up, but it’s still mild even in its coldest month of January (highs in the mid-50s and lows in the mid-20s). Going to Gatlinburg, soon. Awesome guide you have here. Thanks!